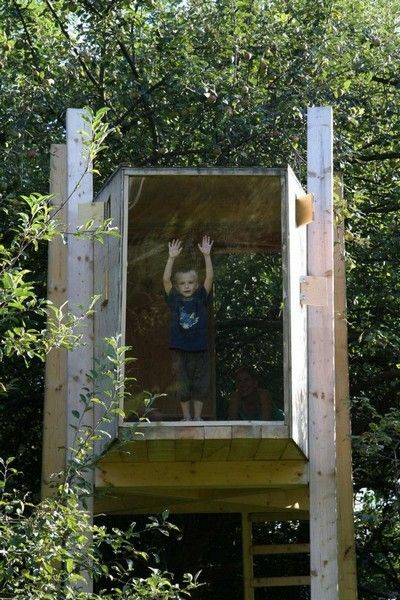 We didn’t have a tree house when I was little, probably because we didn’t have a suitable tree. My dad built a small seat in the fork of our largest tree and added a rope ladder – we called it ‘the thinking seat’ and would sit amongst the leaves to contemplate life (or perhaps have time out – I’m not sure, looking back!). 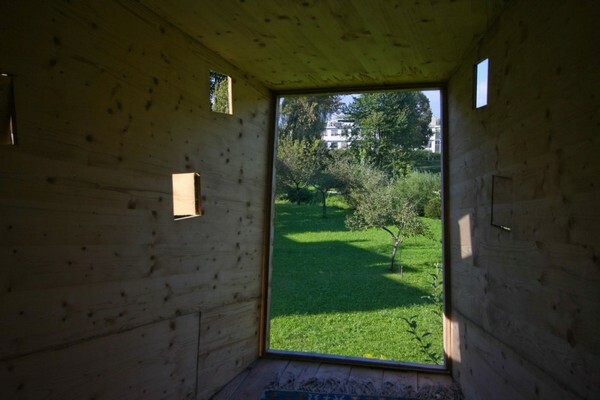 Suitable tree or not, everyone can have garden views with this ingenious ‘tree house’. 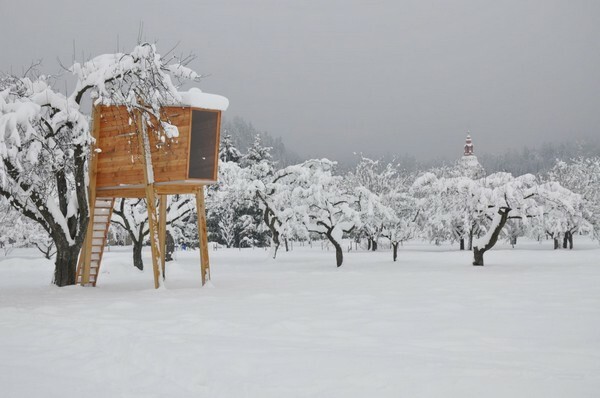 The Tree House, designed by Slovenian architects Robert Potokar and Janez Brežnik, redefines the traditional notion of a tree house. 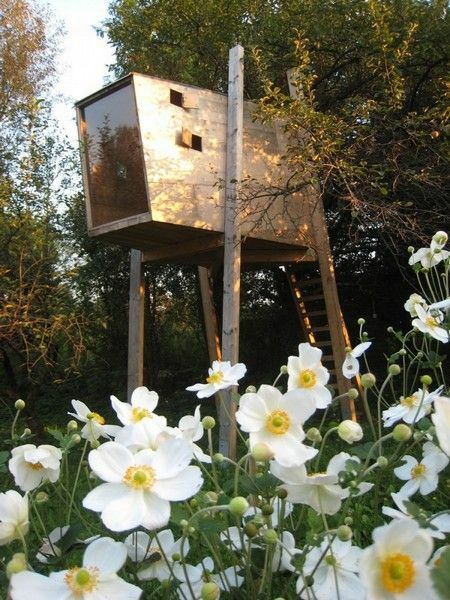 Instead of being built in the fork of a tree, The Tree House is more like an elevated cubby with a leafy outlook. 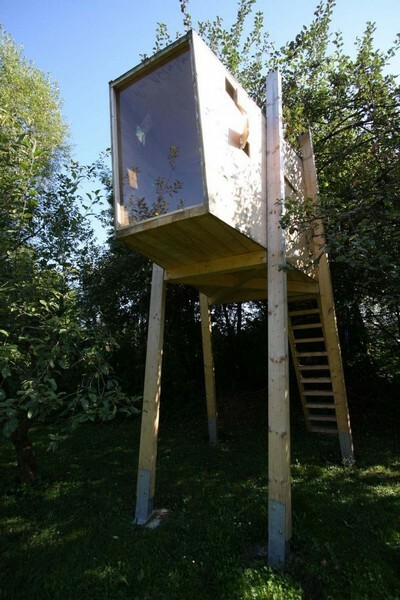 The Tree House features built-in, minimalist furnishings (retractable benches and tables) that are simply constructed and easy to set up or take down so children can configure their own play space. There are also window openings at different heights and a stunning plexiglass floor to ceiling window. The design has been built in three different locations and each is magnificent. 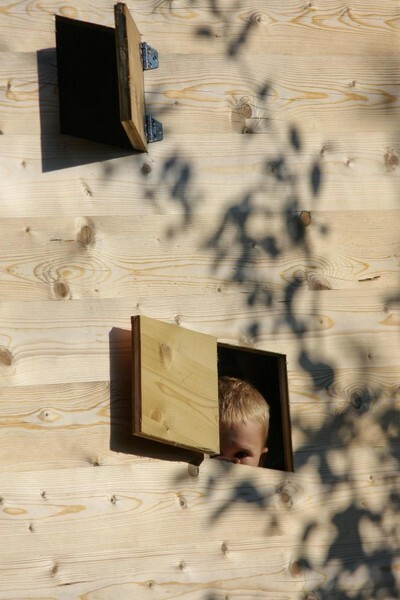 Check our previous posts for more inspirational cubbyhouse designs.